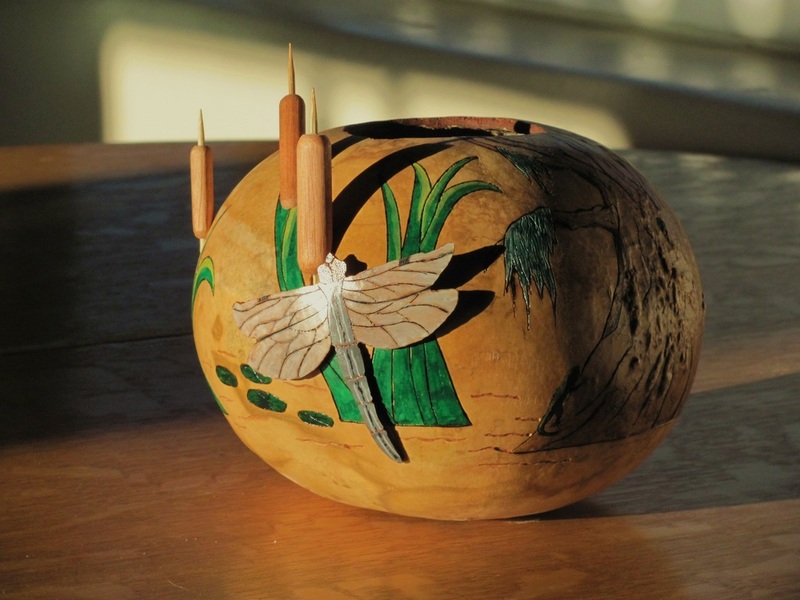 ​Gourds: if you thought those moldy fruits on the ground were ugly, just look at them now! 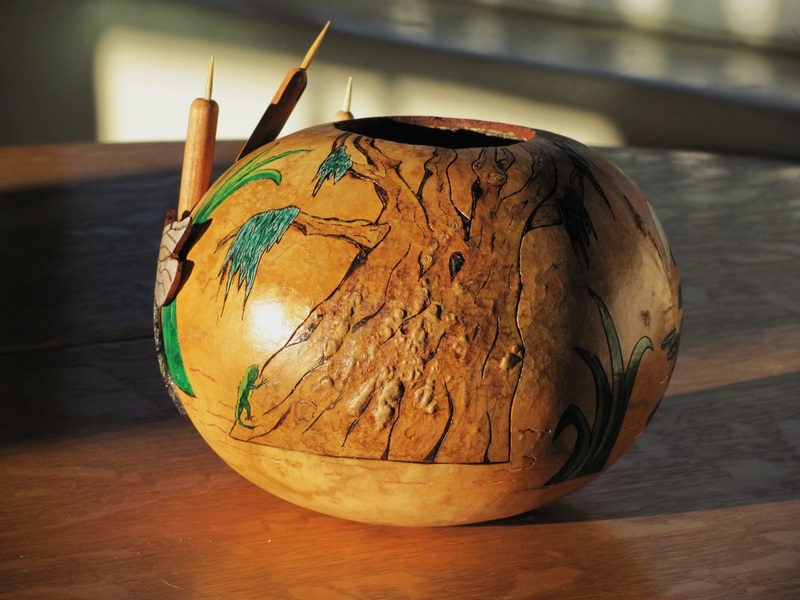 Carved, burned, painted, textured....gourds can be an art medium all on their own. 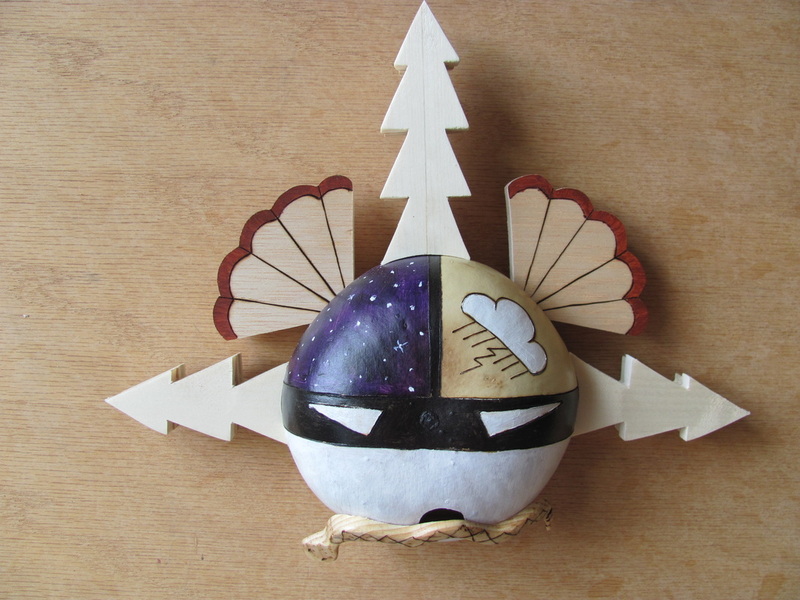 "Fun with Fungi" 8" across by 9-1/2" tall. More Fun ! The lid opens at the top leaves! 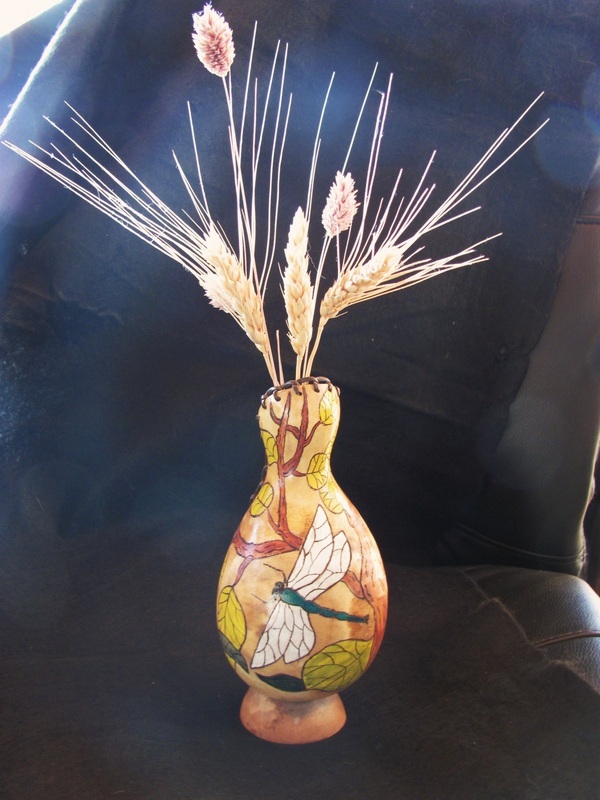 "Cottonwood Fall" vase back with dragonfly. 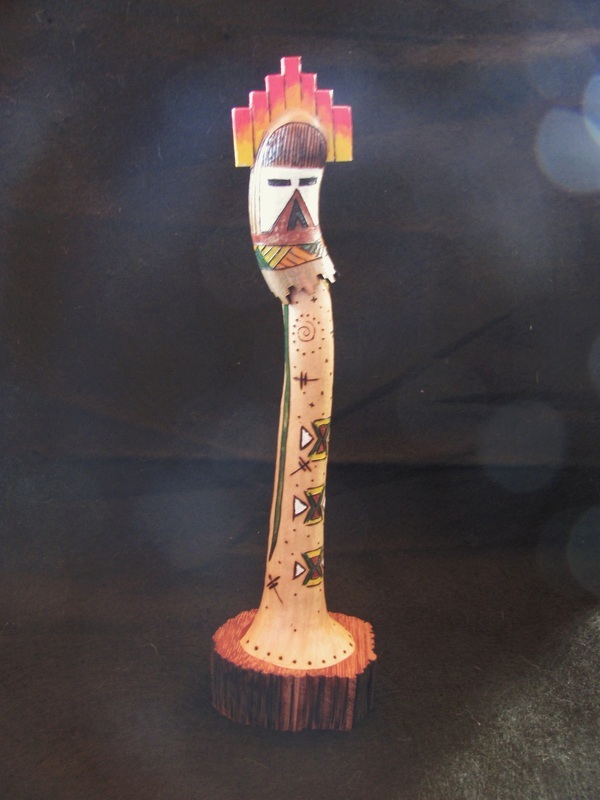 "Rising Spirit" 10" tall on wooden base. 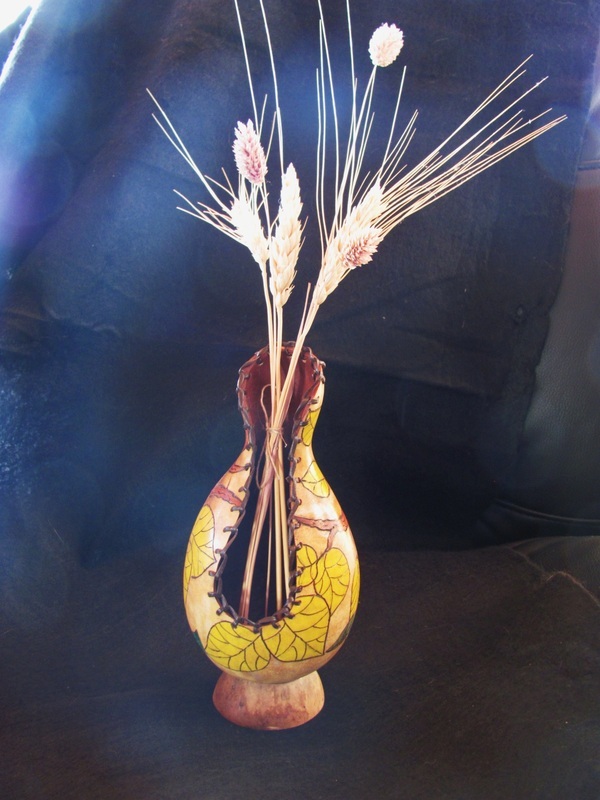 "Cottonwood Fall" vase front. 7-3/4" tall by 3-1/2" across.